This quiz is about the lines said in the best movie in history, the Titanic. Hello. 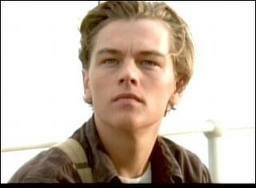 I am a huge fan of Titanic and I wanted to know if you are too. See how much you know about one of my favourite movies! How much do you know about the Titanic? Test your intelligence on the brilliant James Cameron movie, Titanic. Hi, I love TITANIC and Jame's Cameron's movie as well. Test your memory with my quiz on the movie script. I hope you will like it!